On December 5th, the shares of Apple plunged 6.5% taking billions off the market value of the company. The reason for the drop was the announcement by the world's largest carrier,China Mobile, that its new flagship phone would be the Windows Phone 8 powered Nokia Lumia 920T. 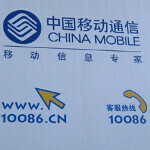 Ironically, China Mobile's unique 3G network has kept the Apple iPhone off the mobile operator's network and despite talks with Apple over the years, the Cupertino based firm has not made a special version of its smartphone for the carrier. 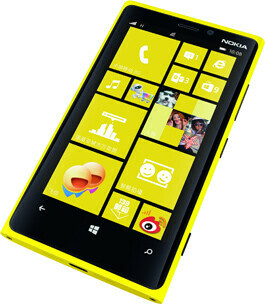 China Mobile has come up with a subsidized pricing deal for the Nokia Lumia 920T. With a signed two year pact (sound familiar) you can purchase the phone for 1 Yuan (13 US Cents). To get the phone for 1 Yuan, you need to sign a contract for 24 months of service at 388 Yuan a month ($62.29 USD). Sign a 24 month contract at 288 Yuan a month ($46.24 USD) and pay 800 Yuan for the phone ($130 USD). Select the 228 Yuan per month contract for 24 months ($36.61) and the phone will cost you 1200 Yuan ($190 USD). The last option is a 24 month contract at 188 Yuan a month ($30.16 USD) and if you select that monthly payment plan, the Nokia Lumia 920T will cost 2000 Yuan ($320 USD). The more you sign up to pay each month, the cheaper the cost of the phone. Even though Apple did sell 2 million units of the Apple iPhone 5 on launch weekend, when you have the backing of the world's largest carrier behind you like the Nokia Lumia 920T has, you have to expect pretty strong demand for the Windows Phone 8 handset. I hope the 920T sells well in China. Its a great phone and deserves all the hype its getting. My first WP phone would be Nokia..I feel Nokia, RIM and Motorola are manufctures that put the phone features first. Of course, Nokia as improved the camera tech their last few phones tho. A Nokia phone might be the perfect match of phone and multi media features. It always seem like the better versions of phones are released overseas and not in the US. Hopefully Nokia can produce enough L920 to meet demand, Nokia brand is very strong in China and L920 is very good phone and the Chinese may not care as much about apps as Americans. Nokia is going to do great in China. Wow. Some very dedicated commenters took the time to downvote anybody that said anything good about nokia. Do you get paid per downvote? Do you have apple shares? Then what's the point... Personal satisfaction? Then go ahead and downvote me. Dont want you to get frustrated and .... A hospital. China Mobile should promote the lumia 920t more considering this awesome deal! Apple will make a China version "perforce"
A win, Win for Nokia Lumia 920 all around. I wish them luck in Asia. This is after all the most lucrative market for mobile. A missed opportunity no doubt for Apple and a win for Nokia! !